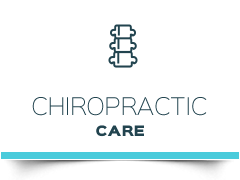 Our chiropractic website is especially designed for health-conscious people of all ages in Cheshire. As a chiropractor in Cheshire, Dr. Luigi DiRubba gets to help people who suffer from a variety of health issues. Naturally, chiropractic helps traditional neck and back problems, but chiropractic has also produced wonderful results with a variety of organic and systemic problems. Dr. DiRubba believes chiropractic care should be an important part of any family’s health care regiment. Children should be regularly checked for subluxations, children respond quickly to chiropractic adjustments and they love it! With the help of chiropractic adjustments, you too can express your full potential! Chiropractic is safe. Chiropractic is natural. And chiropractic works! Find out why other Cheshire-area families prefer the chiropractic care that we provide at Central Connecticut Chiropractic. Contact our Cheshire chiropractic office to arrange a consultation today and find out if you’re a good candidate for today’s chiropractic care! I was born and raised in New York. I discovered chiropractic in 1979 after injuring my neck in a wrestling match. I was rushed to the hospital semi-paralyzed, placed in traction and highly medicated. After held in traction for four days, none of the doctors had any answers. All staff and doctor were amazing and beyond helpful. I honestly and truly feel the difference right from the first visit. I can’t thank you enough. A very thorough exam and explanation of procedures. The adjustment had me feeling better in no time. Angela was efficient and helpful. I have been so incredibly impressed with the thoroughness of my appointment – from the work Dr. DiRubba did to the new patient forms that I completed to the insurance explanation I was given. I couldn’t be happier with my experience. Affected positively in more ways than expected, the transition from debilitated to invigorated refurbishes the body and delivers a state of mental clarity. Never knew you can have so much fun going to a doctor’s office!! I made the shift in my thinking from pain management toward overall and continued well-being all the time. I was very impressed by your patient experience. I am also impressed with the difference the one adjustment has made to my comfort level. Thank you. I look forward to the next steps on this journey. I thank Dr. DiRubba for his constant service and enjoy his well-mannered staff. I will forever be a believer that not only can it work, but also chiropractic care can change your life. Great staff. The doctor is very thorough, professional and thoughtful. Thanks guys! Your staff is “crackin” great!! After my first visit I slept like a baby and breath healthier with sinus pressure. Dr. Dirubba is about to give me my life back so if you want your life back, sleep like a baby, start breathing right etc. Come see Dr. Dirubba and I guarantee after your first visit you will say thank you and god bless you. I’ve been coming to Dr. DiRubba’s for about a month now and I just noticed the sign at the front desk “Expect Miracles” How Ironic!